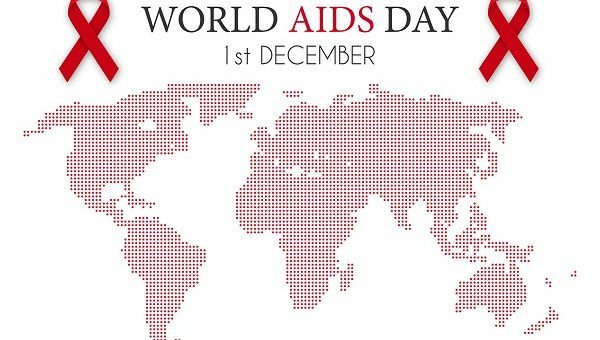 Today is World AIDS Day and this year’s focus is on ending stigma. The Not Retro, Just Wrong campaign seeks to highlight the issue, as despite the condition having been around since the 1980s, prejudice remains. To mark the day, we hear from a 50-year-old man from the US, who was diagnosed eight years ago. He talks about how he is coping with the disease on a daily basis, and his wish to support others facing similar prospects. I am a 50-year-old man and was diagnosed with AIDS in 2008. My CD4 count [an indicator of the strength of the immune system] was 69 and my viral load was over a million. It was a tough time for me. I didn’t have the support of family or friends. Today, with new medications, I’m doing much better, although I have not been able to get my T cells above 100. I’m fortunate to be able help others in supporting them in their diagnoses as I work as an educator for the prevention of HIV/AIDS. This week I was released from the hospital after being in there for over four weeks. It turns out, after seven months, that I was resistant to two of the medicines in the combination drug Atripla. I was told I wasn’t going to make it. I had spinal meningitis, an infection in the blood. I had herpes simplex 1 throughout my abdomen, which led to internal bleeding – five transfusions. I worked as an educator for the prevention of HIV/AIDS doing social marketing and HIV testing. I applied for a position and was not even given an interview. I found out yesterday I don’t have a job. I’ve done this for the last three years and love what I do. I’m grateful to be here but now I have to reevaluate my life. I’m on a new regimen; the idea is to get my cell count back up so I can win this! I’m doing the best I can with what I’ve got. This morning I felt pretty good, put new sheets on the bed, got into the shower and then it hit me, like a rush – I felt faint, so had to get out and lay on the floor (trust me, I don’t do bathroom floors) and threw up all over myself. I still feel a little dizzy, but better than I did yesterday. Then, I was feeling feverish and had a headache; that seems to be subsiding. My eyes are clearing up. They haemorrhaged from nausea while I was in the hospital. I’m still here, tolerating the side effects of my medications, but it’s better than the alternative. I hope God gives me a chance. Meanwhile I continue to do my share and comply with all my doctors’ requests. Today, I go for bloodwork. I feel pretty good, at least for now. I hope to get good news. I found the most important thing I can do for myself is eat, even if I don’t want to. What the heck – at least if it stays down some, I got something out of it. It’s better than dry heaves (I hate that). My eyes are clearing. I’m ready to tackle the day! I’m sure out of all this I’ll be able to better understand what others are going through. It’s a hard lesson in experience. It’s been 15 days since my hospitalisation. Although I want to begin doing what I was before so much, I realise this is going to take time. I’m blessed to be home in my own bed. My doctors were quite amazed when I went to visit last Tuesday. They saw how far I had come, and were quite happy with the decisions they made. The doctors at the university are caring and personal (I like that). So far, so good. I am just adjusting to all my meds, and the side effects. Now that I’m at home recovering from my illness, I want to run out there and take charge. But it’s not going to happen; I walk a few feet and I’m tired. I’m learning to listen to my body’s response to stress. When it says rest, I am. All my numbers are climbing. My CD4 count is 54, compared to 18 previously. Everything else seems normal. My doctors’ visits went well, and I’m tolerating the meds a lot better. Been away for a while but wanted to write again. I’m still taking it slow, although life pushes me a little further than I want. I’m visiting the doctor today for blood tests that will determine some issues that have come up. Not pretty to discuss. All in all, I’m getting stronger. My medications are sometimes intolerable, but I’m dealing with it. I haven’t missed a dose. They say ‘one day at a time’ and that’s all we really have anyway. Take those days and combine them and you have accomplished a lifetime of work. CD4 counts are up to 89, viral load down to 66. I never expected the numbers to move in the right direction so quickly. It’s been about two months since I almost saw my Maker. No matter how far down you are, it’s possible to climb back up on solid ground. These days I am hopeful that I can continue to give back to my community through my work… Still taking it one day at a time. In 2009 I went into treatment for addiction to prescription medication and I’ve never looked back. It seemed weird in the beginning, leaving my doctor’s office without a script. Now I don’t think about it, but I have the support of the hospital staff and I see my psychologist once a month to help me. I would never have been able to manage my illness if I was still stoned. It proves things do get better. Name and details have been changed. This is a real-life patient experience, taken from http://www.treatmentdiaries.com/, an online resource aimed at helping people with health issues and conditions share their experiences with a wider community.